According to the 64-year old Australian, who claims a 25-year record of catastrophe investigations, by thoroughly studying NASA and Google maps he has determined that the plane fragments are located 10 miles from Round Island, not far from the island nation of Mauritius, the Daily Star reports. The engineer claims that earlier searches for the aircraft did not explore this territory. Some fragments of the plane's front section were found not far from Rodrigues Island. The Australian says he sent the results of his investigation to the country's Transport Security Bureau (ATSB). The ATSB, he asserts, did not rule out that his find could be fragments of the plane, but, as McMahon claims, US government representatives ordered the Australians to stick to their search region in the Indian Ocean. "Four Americans were sent to Australia to track [search] results… They have made sure that all information received has been hidden from the public," the engineer told the Daily Star. As McMahon tells it, authorities "do not want [the plane] found as it's full of bullet holes, finding it will only open another inquiry." Australian authorities have not commented on McMahon's more far-fetched statements. 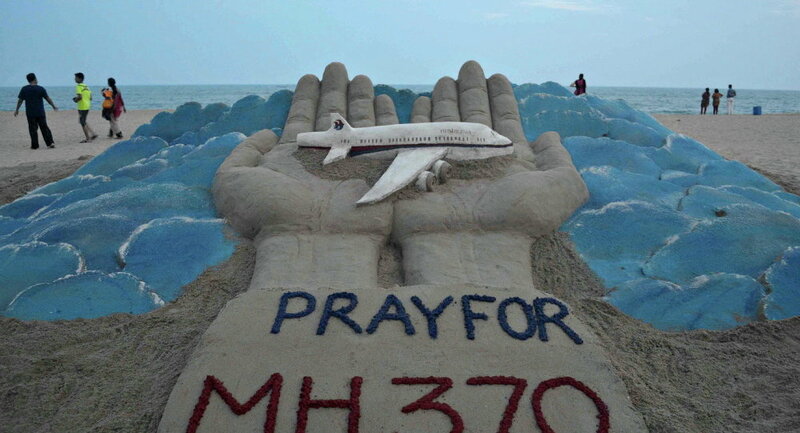 In 2014, the Malaysia Airlines MH370 Boeing 777-200 was en route from Kuala Lumpur to Beijing with 227 passengers, including one Russian tourist, and 12 crew members. The plane disappeared from radars and was believed to have crashed in the southern part of Indian Ocean. Search parties could not determine the crash location even after months of criss-crossing thousands of square miles of sea. US company Ocean Infinity offered its services to victims' relatives at the end of 2017. The company specializes in ocean floor exploration and conducts searches at maximum depth using autonomous equipment. The company offered to accept payment only if the airframe is found.